Those with the conviction that members of Japan’s Imperial family have negligible impact on the lives of their subjects should bear in mind that for a tiny few, it can literally be a matter of life or death. More specifically, on festive occasions such as the coronation of a new emperor, it has long been the practice to offer amnesty to convicted criminals. The law provides for five levels of pardons ranging from amnesty, special amnesty, commutation of sentence (usually by one degree) and exoneration to full restoration of rights. These are determined according to the recommendations of a penal review board. One well-known beneficiary of this form of clemency was the notorious murderer Sada Abe, whose lurid mutilation-murder of her lover, Kichizo Ishida, in Tokyo on May 18, 1936, led to a citywide dragnet. She was sentenced to a seven-year term at Tochigi Women’s Prison, but in May 1941 was granted early release as part of a general amnesty the previous year, in celebration of the 2,600th anniversary of the mythical founding of Japan by Emperor Jimmu. Despite nervous chuckles from males residing in Abe’s Tokyo neighborhood, as far as is known the ex-convict committed no other crimes. She died in obscurity. Writing in Shukan Post (March 23-30), Michinori Saito notes that issuing of special amnesties is a tradition that continues to this day. He names several examples in the case of the current Emperor. In one, on Dec. 8, 1989, a 72-year-old man was released provisionally from Kumamoto Prison after serving 42 years. Saito also cited a recent article by the Mainichi Shimbun newspaper that reported that in connection with the ascension of the next emperor to the Chrysanthemum Throne, set for May 1, 2019, the government is indeed studying plans for an amnesty. There seems to be some confusion as to how this will be carried out, however, since Imperial succession this time will take place not through the death of the Emperor but through his abdication. Not being able to rely on historical precedence may or may not affect the process, but whatever else a convict might think, assumptions about being granted amnesty clearly carry a certain degree of risk. Others, however, have no hope of amnesty and seem resigned to their fates. Kakehi — convicted of fatally poisoning four people with cyanide — was sentenced to death by the Kyoto District Court last November. She chose not to appeal. The two-year postponement of the wedding of Princess Mako to her university classmate Kei Komuro, originally slated for this coming November, may subtly influence plans for the executions of the 13 members of the Aum Shinrikyo cult now on death row. On March 14, seven of the 13 Aum members were moved out of Tokyo Prison and sent to several other facilities. Executions in Japan are limited to seven prisons — Tokyo, Osaka, Nagoya, Sapporo, Sendai, Hiroshima and Fukuoka. “Does this mean ‘A-Day’ — the date of execution of Aum ‘guru’ Shoko Asahara — is approaching?” Yukan Fuji (March 15) asks. It was 23 years ago this week — Monday, March 20, 1995 — that Aum followers, allegedly acting on Asahara’s orders, released sarin, a nerve toxin, on cars in the Tokyo subway system, resulting in 13 deaths and more than 6,000 people requiring treatment. The number of casualties would have likely been much higher had the date not been a Monday before a national holiday, with many workers having decided to extend their weekend. 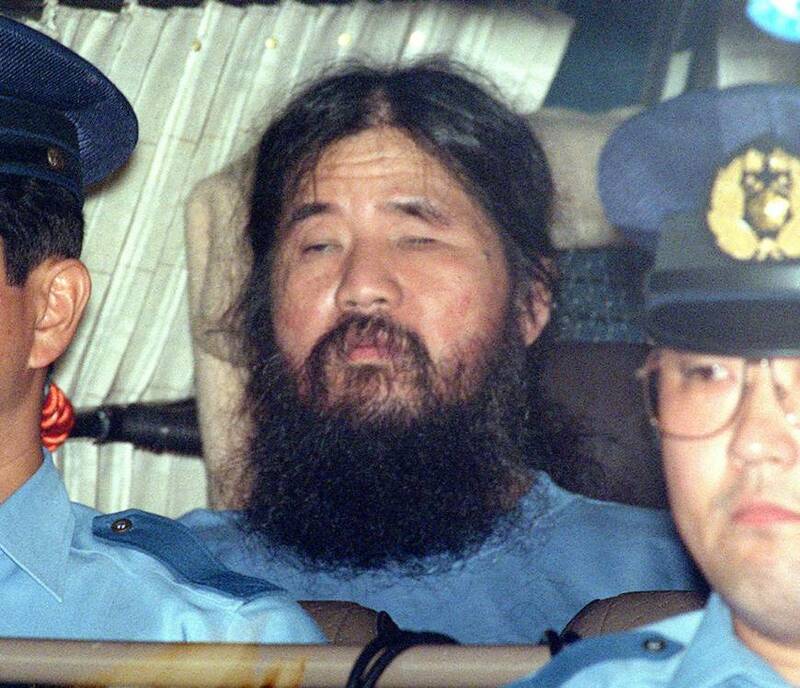 This act “snapped the strings of the patience bag” — as Japanese describe “the straw that broke the camel’s back” — and the police rounded up hundreds of cult members, but nevertheless came under heavy criticism for allowing Asahara’s cultists to run rampant for the previous six years, terrorizing the populace from as far back as 1989. At least 29 are believed to have been murdered by cult members. One factor said to worry the authorities is that Aum still exists, in a manner of speaking. Following the arrests and trials of some 190 of the cult’s leaders, the remaining cult, now renamed Aleph, still boasts an estimated 1,500 followers. 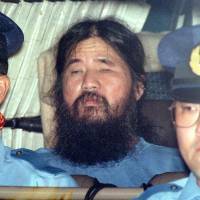 They have been observed bedecking photos of Asahara with floral wreaths and celebrating his birthday (he turned 63 on March 2). Aleph members have also been seen walking around the periphery of Tokyo Prison, Asahara’s current home, as part of their shūgyō (spiritual training). Some authorities have voiced concern that if Asahara is put to death, his followers will be inclined to deify him with a “god-like” status and possibly engage in other types of malicious mischief.